Customers with an active and ongoing Annual Support Subscription have access to our "Priority Support" service as part of their subscription. The following Terms & Conditions apply to the "Priority Support" component of an Annual Support Subscription. Priority Support is available via email, and may at our desecration also be available via the Live Chat function on our website. Priority Support is available in English only. Our most recent Priority Support response times are published on our Service Status page. Whilst we endeavor to answer all Priority Support emails as swiftly as practically possible, Priority Support requests are responded to in the order they are received, and we are therefore unable to make guarantees of a response within a certain time frame. Our Priority Support Service does not entitle a customer's organization to general IT support for their IT infrastructure and/or third party software - it is not intended as a replacement for their organization's own IT department/IT support arrangements. We are unable to provide operational support for customer's own/rented web servers, MySQL servers, email servers, third party software, or IT infrastructure and systems in general. 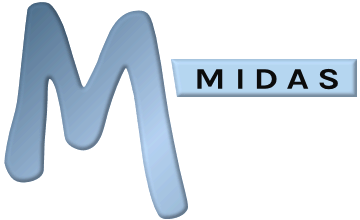 By purchasing or renewing an Annual Support Subscription to MIDAS, you fully accept these Terms & Conditions. Our unrivaled customer support improves yet again!